HomeNorovirus: to close or not to close? The authors developed an epidemic simulation model to test the impacts of various approaches to ward closure, including an assessment of cost-effectiveness. The scenarios tested were ward closure 1, 3 or 5 days after the detection of the first case, combined with 3 estimates of the effectiveness of ward closure: 0%, 25% and 50%. The cost-effectiveness analysis was driven by the cost of lost bed days, and the cost of lost staff productivity. The study used a well-characterised dataset from southwest England between 2002 and 2003. Worth noting at the outset that this dataset is now almost 15 years old; I suspect that the epidemiology of noro will have changed over that period. The dataset included 232 new outbreaks leading to 2494 outbreak-days over 1 year. Perhaps unsurprisingly, the additional risk of a new outbreak was greatest from an admission ward, and lowest from a long-stay ward, due to the pathways of the patients involved. Surprisingly, the level of activity had very little impact on the risk of in-hospital norovirus outbreaks. In the epidemic simulation, ward closure always reduced the number of new cases, even when it was assumed to have no direct impact on reducing transmission. This is because ward closure reduces the duration of the outbreak (effectively by cutting off the supply of fuel (patients) to the fire (norovirus). Without any intervention, there would have been 34 outbreaks across 29 wards in your average acute care hospital (imagine that! ); ward closure would reduce this to between 15 (for ward closure on day 1 with 50% efficacy) or 32 (for ward closure on day 5 with 0% efficacy). In terms of cost-effectiveness, in none of the scenarios was ward closure cost saving. This is not surprising, since closing a ward is always going to result in lost bed days, which are expensive. However, if we apply a fairly low “willingness to pay” threshold of around £2500 (how much you are prepared to pay to prevent a case or an outbreak), ward closure is cost-effective to prevent a case assuming a 25% efficacy, but less so to prevent an outbreak (>£35,000, requiring a 50% efficacy). So where does this analysis leave us in deciding whether or not to close a ward due to norovirus? If you are not interested in the cost-effectiveness equation then it makes sense to close wards – and to close them early. But, since the cost-effectiveness is an increasingly important driver, this study suggests that the costs required to close wards in an effective way don’t yielded the degree of benefit to justify them. Although not evaluated in this study, it seems to me that bay closure would be a better approach (and in line with current UK guidelines). Thanks for the excellent summary of the norovirus issue. I have experience that a ward can have several cases and even spread and still be open. 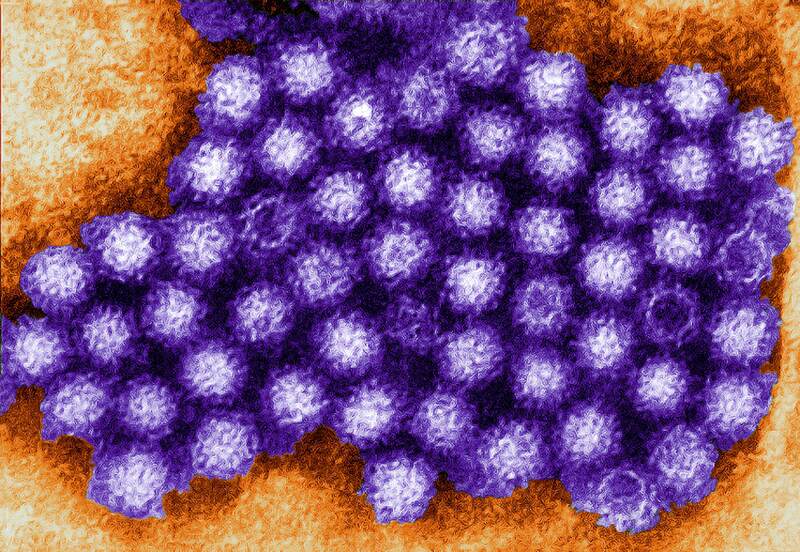 Until 2011 norovirus was a repeated plague in the hospital, especially around christmas. In 2011 we peeked with 51 outbreaks of norovirus, most of them leading to closed wards for long periods with severe effects on elective surgery and care. After 2011 we changed routines completely and began with cohorting from the FIRST SUSPECTED CASE and those who shared toliettes (those incubated) and keeping the rest of the ward open whith buissiness as usual. No patients are admitted to the cohort. We never wait for pos samples since the sensibility of PCR is very low and takes time. Cohorting means a dedicated group of staff caring for those sick and those incubated, 24 hours, 7 days a week. This can be achieved if extra staff comes in which is sometimes not possible but often.The infection control nurses are very active and visit wards with norovirus cases dalily, helping with practical issues and specific questions. The wards have now learned the routines and the ICP nurses are seldom asked for nowadays. After this change from a total ward closure to cohorting, which is a semi-closed ward, the number of outbreaks whith closed wards in the hospital is under 5 each season (October-April). The number of cases is much lower and the wards can open up cohorts after few days.the hospital´s productivity is never unaffected nowadays. So, there are other options than just the two; Closed or Not Closed ward. Really useful feedback. Thank-you very much. We have similar experience at Imperial (although not such high-quality data by the look of your comment!). When the UK guidelines were revised to advocate bay rather than ward closure, we followed suit and it’s true to say there has not been a notable increase in noro. It’s a shame that the model did not include bay vs. ward closure as one of their variables: a question that future models should address. Although norovirus is often seen as “innocent” in a oncology and GI-ward, it can cause prolonged infections, especially in vulnerable and very elderly people, so we tend to take it seriously. We found several factors that influenced the need for ward closure. We had a very difficult to control norovirus outbreak a couple of years ago, where we had to close the ward for a prolonged period of time. At that time, we had patient rooms of max 6 patients and shared bathroom facilities in the hallway. At the same time we had an outbreak in a renovated ward, with max of 3 pts/room and all rooms have their own bathrooms. This was much easier resolved. Now off course several factor can play a role in that (fi different patient characteristics, orthopedics vs GI/onco/internal medicine) but now that all wards are renovated, we have not had these large outbreaks. I think the bathroom facilities make a big difference. I must say I am keeping my fingers crossed because due to the layout of the wards, it is difficult to close just one part. The hallways share a lot of facilities, like one kitchen, communal spaces for patients to sit and chat etc. Not ideal from the infection control point of view. Fascinating Mireille – lots of factors at play but do you have a sense about which was the most important change that has reduced the scale of your norovirus outbreaks? I think the most important change were the better bathroom facilities. It simply makes infection control methods better to implement and that increases compliance. Second would be awareness in general: it is rare nowadays that a patient is admitted with vomiting and diarrhea and is NOT isolated. In the past that would happen more often.